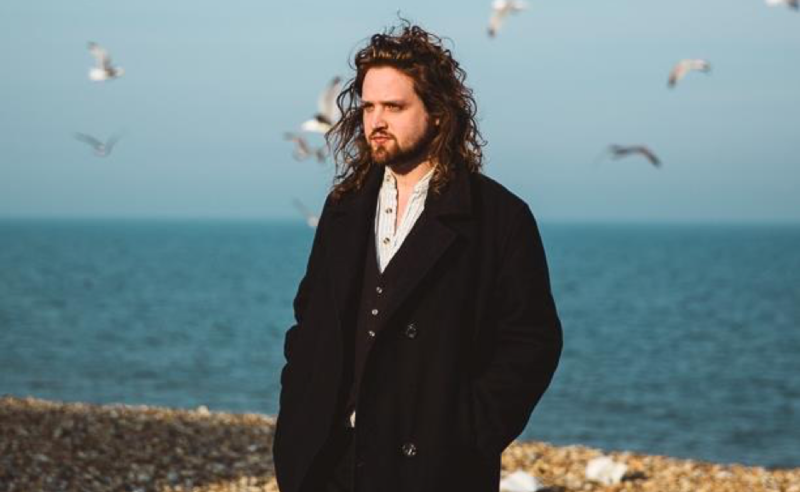 On the road folk musician Will Varley is reaching the end of a big solo tour in Europe and the UK and will be heading to The Wedgewood Rooms in Portsmouth today on the 25th of October for a muchly anticipated gig. Varley’s live performances never fail to deliver a roller-coaster of emotions, with the artist’s ability to switch smoothly from a humorous or fiery protest song to a melancholic or romantic ballad. Indeed, you would see an audience full of laughter and dancing throughout a song and then, absorbing the emotional ambiance in the room, people slowly swaying and taking it all in. Varley truly embraces the essence and roots of folk music. Indeed, throughout his songs and shows, the artist interacts with the audience with wit and humanity to share stories and invite us to his world and on his journeys. It ultimately creates an intimate atmosphere, no matter the size of the venue. Knowing he has undergone walking tours in the past to spread his music around, it is easy to guess where his story-telling talents and inspiration have come from. Various societal and political themes are present in his songs as well with clever and poignant lyrics, which, when performed live, have an even deeper impact. His comical political rants from older songs remain relevant today and enable us to connect and exteriorise shared frustration, often by laughing the absurdity away. The artist’s performances are said to get more and more anarchic over the years, with notably unexpected chaotic stunts and experimental music playing. I attended one of his gigs earlier this year in Southampton, which makes me even more excited to see him perform tomorrow. His performing style makes every show unique, as he masters the art of improvising and adapts to audience receptibility. I am expecting an overall feel-good show with a bit of dancing involved and of course a lot of audience participation. Bring on tonight! Watch the music video for ‘King For A King’ below and buy your tickets for the gig today here!